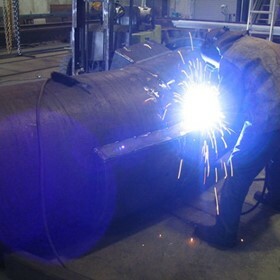 BCA Fabrications provides the highest quality metal engineering workmanship across all aspects of our Perth-based metal engineering and fabrications business. We specialise in metal fabrication for Western Australia’s mining and engineering industries, including the production of conveyors, hoppers, chute work, structural components, motor and skid bases. We also service Western Australia’s construction industry with quality structural steel and general welding services, and a strong niche reputation for the precision production of architecturally designed steel windows, steel doors, gates, hand rails, staircases and balustrading for Perth’s residential construction sector. BCA Fabrications currently services Western Australia’s mining, engineering and commercial and residential building sectors. We pride ourselves on working closely with every client to ensure that the finished project fits their exact specifications and industry requirements. As one of the leaders in the industry we take pride in meeting individual needs of our clients. Established in 1997, BCA Fabrications is a proudly Western Australian owned company located in the Malaga district of Perth. Our experienced staff draws on more than 40 years of combined experience within the metal engineering industry, and we are committed to delivering high quality, efficient and prompt service to every client. Precision, quality and efficiency are BCA’s core values – and we always deliver on time and on budget.